Over the years, we’ve really come to love the Tretorn Nylites. 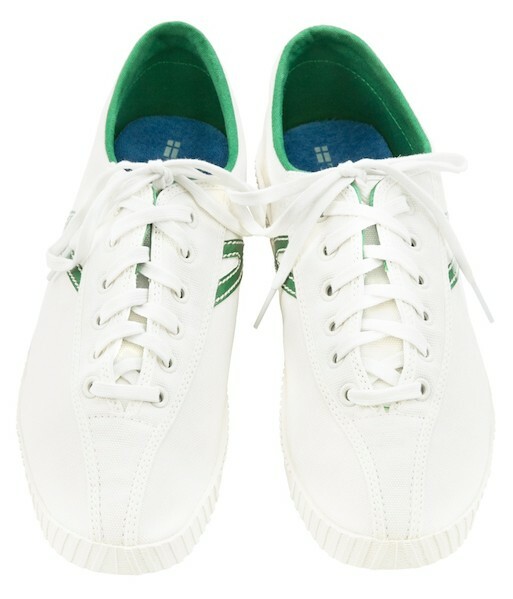 They’re simple, classic, and just a bit different than most of the retro tennis shoes you see people wearing. In this case, you’ll find a timeless fairway green / white color combination. The green Tretorn logo and sockliner are just the right amount of color and the French terry sockbed liner makes them extra comfortable when you go sockless (which should be every time). Once again, Mashburn has proven that the classics don’t have to be radically changed to be current, or timeless for that matter.